Rally for Diversity enhances prejudice reduction and support through education, group discussion, film, and peer counseling. RFD members come from all religions, are all colors, and are of different ethnic backgrounds. They are straight, gay, bisexual, lesbian, transgender, queer/questioning, and allies. All are committed to making Mainland High School inclusive and welcoming for all students and staff. 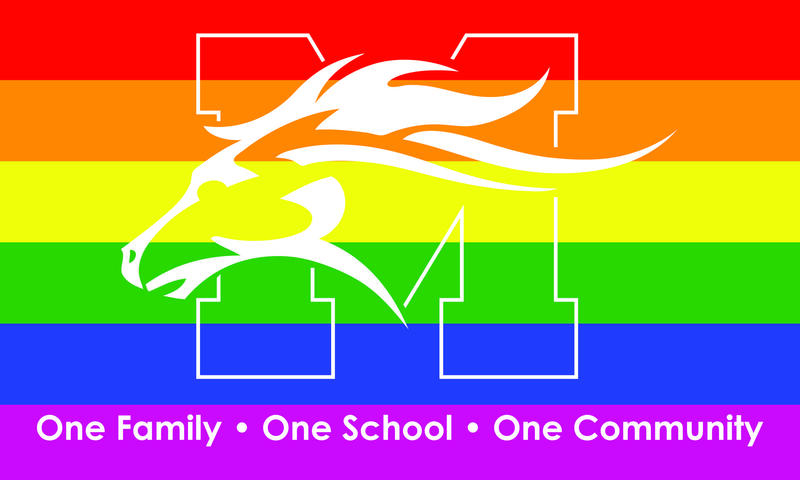 RFD will work to create a safe environment at Mainland for students and staff to support each other and learn about racial and religious prejudice, homophobia, transphobia, and other oppressions; educate the Mainland community regarding these issues, and fight discrimination, harassment, and violence in schools and in the community. In addition to discussing important issues, RFD is a fun-loving group who enjoys movie and game nights, eating lunch together, field trips! RFD has also worked with other groups throughout the country in promoting the National Day of Silence at Mainland, which is a day of action in which students across the country take some form of a vow of silence to call attention to the silencing effect of anti-LGBT bullying and harassment in schools. Please join our important club. We need your help to make a difference! Our meetings and activities provide a safe place where students can be themselves, without judgment or pressure. Share freely, come quietly observe and relax, or help us come up with new and exciting plans! Leadership positions are available. **Please see below for links to LGBTQ Resources in and around NJ and the MRHS Gender Identity and Expression Policy. Number of meetings: Every Day C at 11:15 in E-02. Bring your lunch!